The world can no longer remain oblivious to the Ebola epidemic in Western Africa. As the number deaths surge the world remains in its ostrich like attitude thinking that it is insulated from the Ebola outbreak while the health experts say that the epidemic is only a plane ride away. 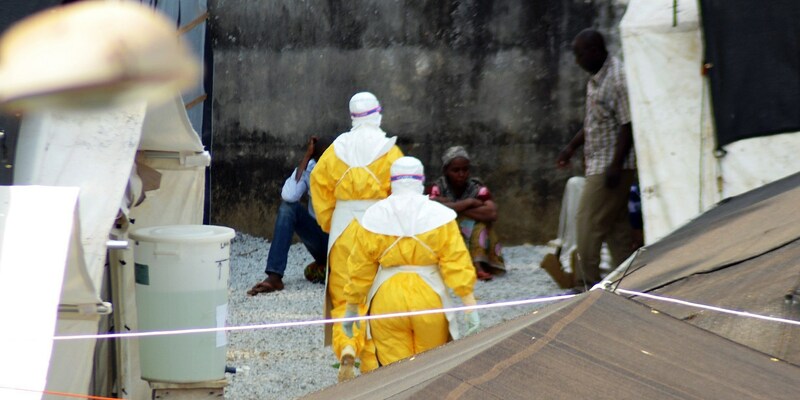 This outbreak of Ebola is one of the deadliest on record with 670 deaths and still counting. There are nearly 1100 infections in Guinea, Liberia and Sierra Leone as per the figures released by WHO. The fatality rates of Ebola are particularly high nearing 90%. According to Michael Osterholm, director of the Center for Infectious Disease Research and Policy at the University of Minnesota, the virus which is characterized with an incubation period of a few days to three weeks could be easily transported to the US by an infected traveler who could not be having any visible symptoms of the disease. However many experts like Osterholm feel that Ebola will not constitute a major risk in the U.S. because people need to be in intimate contact to spread the virus. A lot of myths have been associated with Ebola and most of these are often misplaced. Ebola is a fearsome disease but it is much harder to spread than a common flu or measles. Ebola virus cannot be spread by merely sneezing of coughing, but it is a different story in a confined space like a plane. Ebola can be spread through body fluids or saliva and on a plane a sick person can contaminate the bathroom if he or she vomits or has diarrhea. There is no effective treatment for Ebola and Anti-viral medications used for other illnesses, such as the flu and HIV does not work on Ebola. Hospitals can only provide supportive care, dealing with symptoms as they occur. Watch Delta Aquarid meteor shower live right now!